Joe Edwards is a Product Marketing Manager (Community | Learning) at UiPath. He wrote this piece following CalHacks, the world’s largest collegiate hackathon, hosted at UC Berkeley. 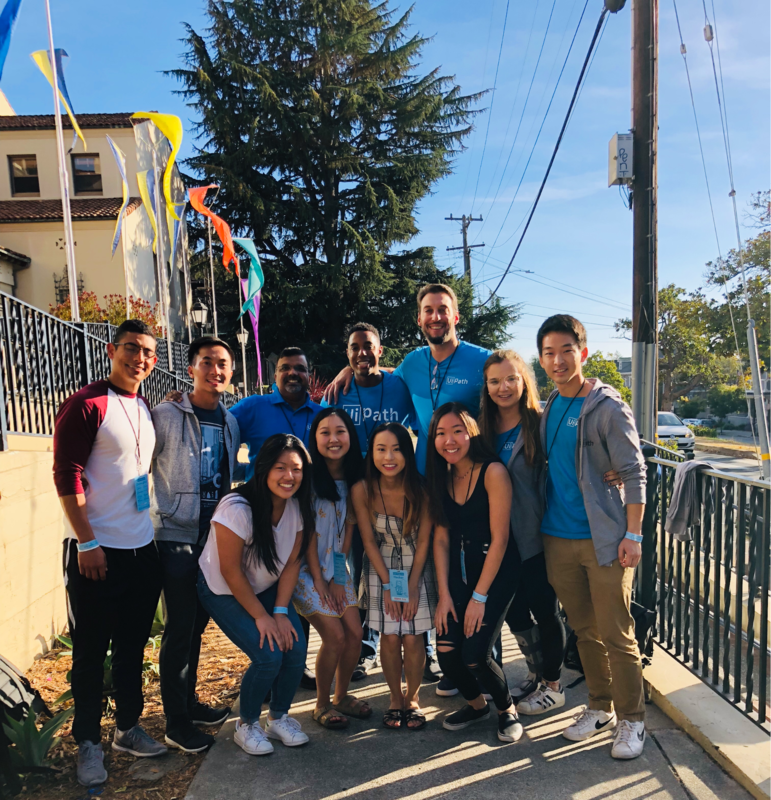 On a picturesque weekend in Northern California, our team of 6 UiPath developers joined nearly 2,000 students at UC Berkeley to help teams create software applications from scratch through a sleepless weekend. By the end of the weekend, two teams were declared winners. 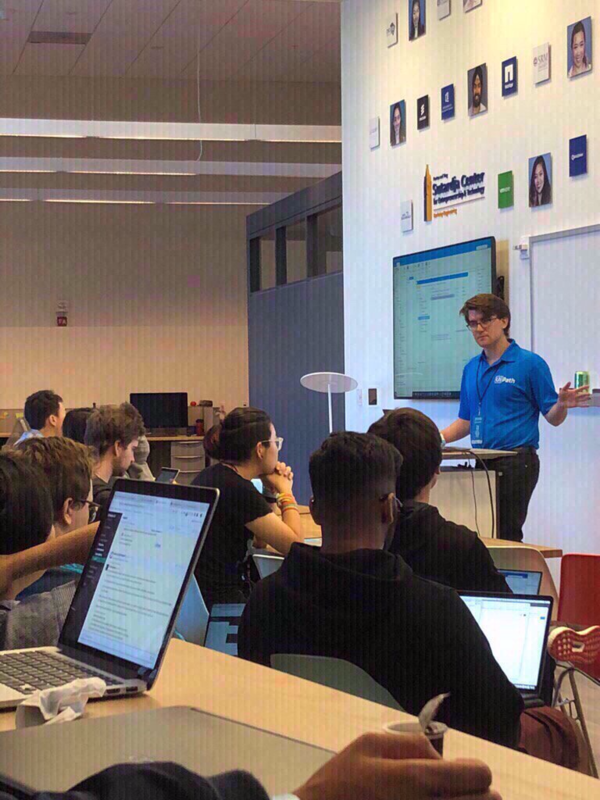 Each receiving an Apple Watch, an Amazon Gift Card, and the opportunity for a UiPath internship. One of the winners created The Lazy App. A duo, Jessie Gross and Khoa Hoang, created an app to help students cut down the time spent on the process of downloading files one-by-one from class websites. It does this by consolidating syllabus information from separate sources. “We hope the community uses this tool to save time in doing the tedious task of downloading many files from a specific source. We aim to simplify these tasks, and the idea can extend to downloading emails or images from any website with one click of a button,” shared Khoa. 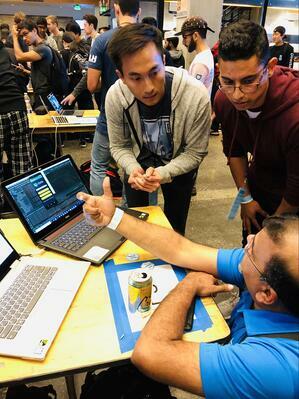 Thanks to CalHacks, and the UiPath developers for their support during and after the event: Joseph Yoon, Eric Eisenberg, Fan Zhang, Evan Bruns, Qadir Ali, Matthew Middleton and Michelle Yurovsky. Want to build your own automations with developers from around the world? Check out the new Project space on Connect!